Lock in a great price for LUX* Le Morne – rated 9.2 by recent guests! Everything was incredible and they went above and beyond to ensure our honeymoon was fun, relaxing, intimate and enjoyable in all respects. Highly recommended. The staff was engaging and fully fluent in both English and French to allow for ease of communication. Perfect location and excellent service and facilities. Crepes cafe, Cinema on the beach, Hiking, free international calls and horse riding are extra things. The breakfast was excellent with very fresh pastries (croissants, pain au chocolat) and the rest of the day can be spent on a gorgeous beach with blue, crystal clear water, white sand and green palm trees. 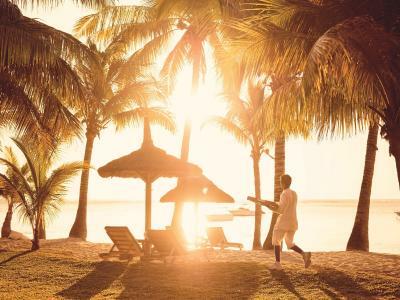 Toward the evening, there are several surprises in the resort, such as suchin diving and tasting, marshmallows on fire and a cinema on the beach, which makes it stand out even more. Even on a day when the sun hid behind the clouds, there is an amazing library with a great book collection to spend some time relaxing and reading - I even took pictures of several books to add to my own collection. Stunning location with plenty of activities on site and very nearby, from yoga, hiking, diving, swimming with dolphins and kite surfing. So the great spa with a good choice of treatments available was a great way to relax after a busy day at the beach! Perfect spot, best Hotel set up I've ever seen! A highlight was the friendly stuff all around teh different hotel areas! At any time with no exccuse they gave us professsional support and were always good minded. All the restaurants were perfect and the food excellent, the staff was always helpful, smiling and cheered up. The day with the Hotel driver Iqbal was a perfect experience, he showed us the island and everyone should book him if they want some special. 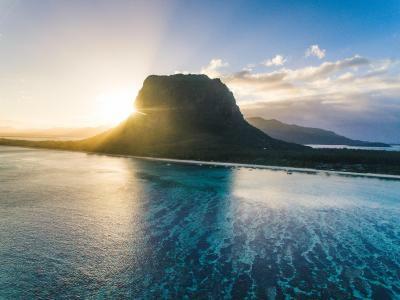 LUX* Le Morne This rating is a reflection of how the property compares to the industry standard when it comes to price, facilities and services available. It's based on a self-evaluation by the property. Use this rating to help choose your stay! 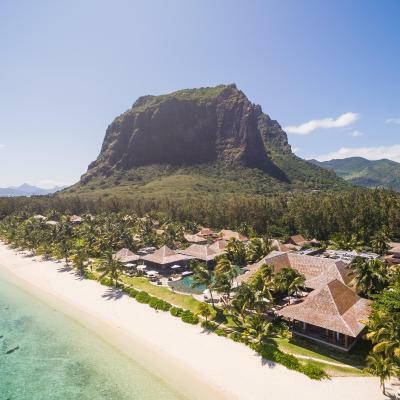 One of our top picks in Le Morne – and a guest favorite. Located on a white, sandy Mauritius beach, LUX* Le Morne features 5 pools, a spa and 3 restaurants. 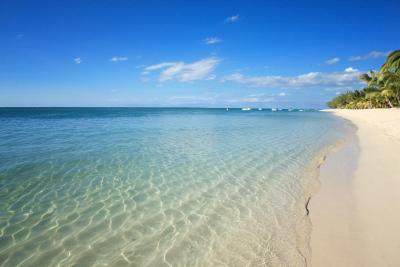 Activities offered include kite surfing and snorkeling. Guests can relax in LUX* Me Spa's Turkish hammam, enjoy a massage or play tennis. Hotel staff can schedule diving and windsurfing excursions, or arrange bicycle rental. Guest rooms feature dark wood furniture and furnished outdoor living space. Wi-Fi access is free, and some rooms include an LCD TV and iPod dock. On-site dining options include Kitchen Restaurant, which offers show cooking and themed dinners. The hotel’s beachfront bar offers light snacks, cocktails and evening music. Staff can arrange packed lunches to take hiking on the nearby trails. Two golf courses are within 30 minutes’ drive of LUX* Le Morne. This property also has one of the top-rated locations in Le Morne! Guests are happier about it compared to other properties in the area. 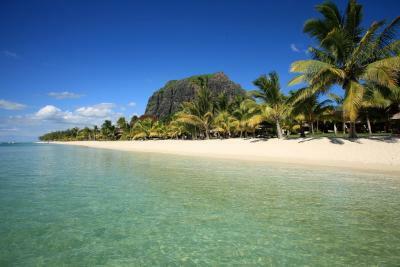 When would you like to stay at LUX* Le Morne? Offers direct sea views from its furnished outdoor terrace and a large rosewood wardrobe. The marble bathroom features a separate shower and a bath. Includes a private outdoor balcony and an iPod dock. Located on an upper floor and offers sunset views over the beach from its private outdoor balcony. the spacious bathroom features a spa bath. This spacious suite offers an outdoor shower and ocean views. House Rules LUX* Le Morne takes special requests – add in the next step! 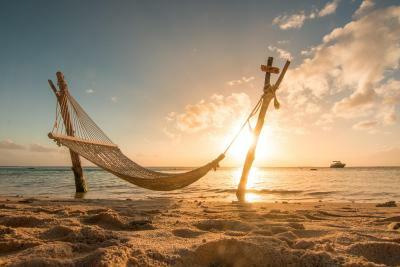 LUX* Le Morne accepts these cards and reserves the right to temporarily hold an amount prior to arrival. Very old and dark room, very old and dangerous bed - safety your legs please, many termites and fly, a very small choice in the ristorante and not tested, because a lot Indian spices dishes, a little bites fruits and dirty cover many times don’t reverse on nearby finished tables. I pay same price in One & Only Le Saint Geran - but it’s really 5 stars hotel - very nicely. Lux Le Morn not 5 stars - really just 4 ! I was very disappointed with the gluten free options available. The staff's lack of knowledge regarding gluten was a concern as I didn't have much faith in whether what I was eating was truly gluten free. For room 72,77,79 they had faced issue with the AC it’s too hot. East restaurant not quite as good as the Beach & The Kitchen. Great setting. Beautiful beach. Lovely views of the mountain. Nice gardens and pools. Very difficult to find some weaknesses of this hotel, maybe one - wifi was very fast (50 Mbps), but sometimes disappeared for a short time period (several seconds). Gorgeous staff - very friendly, all time smiling, always trying to fulfill all our wishes, making our stay to be the real pleasure even with a lot of small surprises every day. Best services we have ever experienced (and we are traveling a lot around all world). Unbelievable huge variety of food at both morning and evening buffet, while each day the dinner focused on other food. Breathtaking view of the mountain - probably the best location from whole Mauritius. We usually do not go to the same place twice, but we will definitely go back to this hotel. Cinema on Monday & Friday , movies are old dated. Hotel looks like 3-4 star hotel. No complimentary water, they provide their own made from hotel and taste not really nice. Never come back. Dirt on bed sheets. Staff - Food - WiFi - Facility .. everything actually..